Microsoft recently announced the general availability of the apps via Google Play. 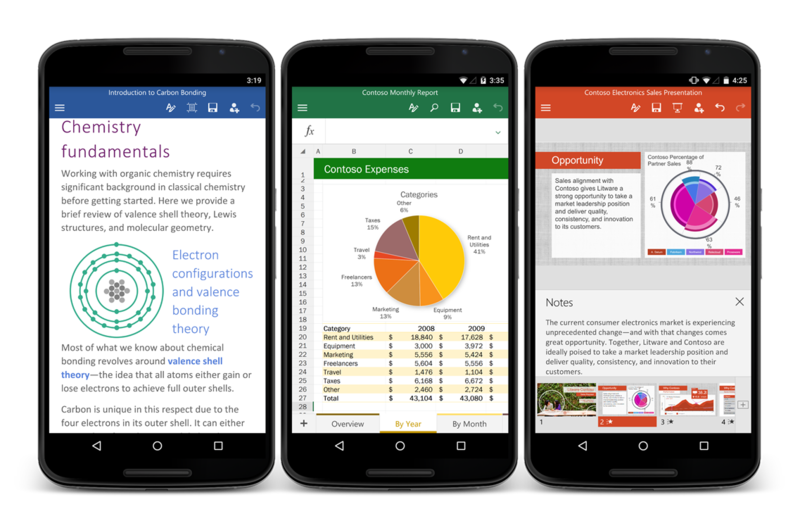 Previously, Word, Excel and PowerPoint were available only to Android tablets, but now everyone with a smartphone running Android 4.4 or later can download and use them. Word, Excel, and PowerPoint for Android are all free to download (see the source links at the end of this article), and come with in-app purchases - for those who need more advanced Microsoft Office features on their smartphone. Microsoft says that, during the preview period of Office for Android phones, the apps were installed on "1,900 different Android phone models in 83 countries". Following user feedback, the apps have been improved and adjusted before today's launch for the general public. You can check out Office for Android smartphones in the promo video embedded above and download link are below. Will you be using these apps on your Android handset(s)?